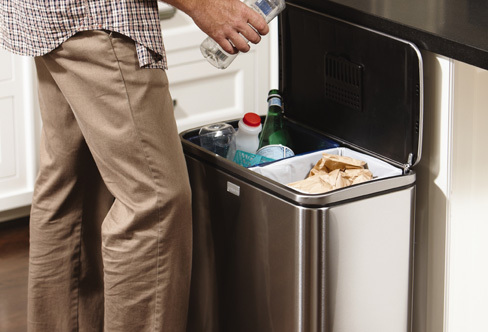 Recycling can take up a lot of space. 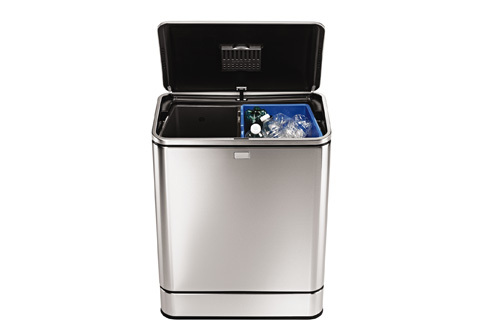 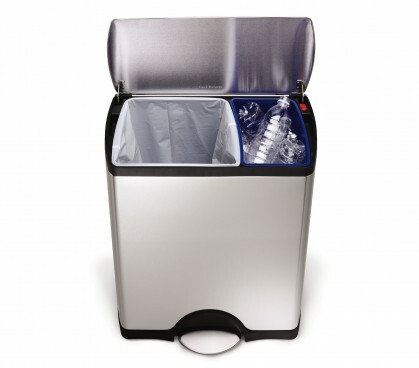 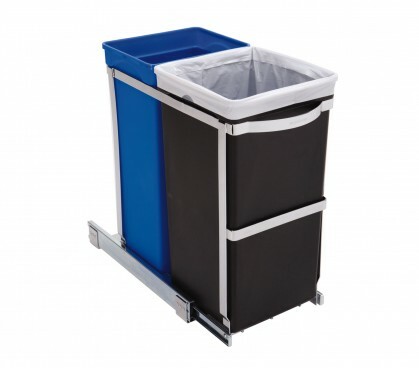 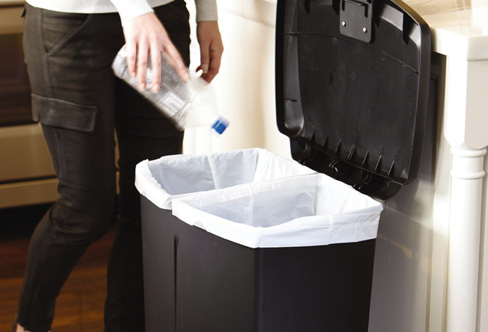 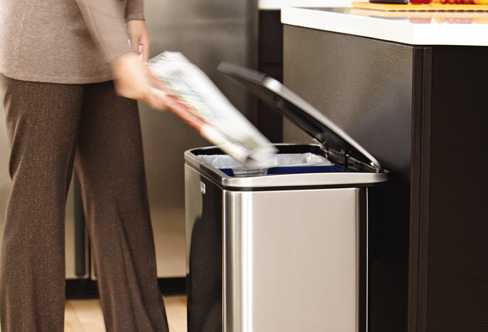 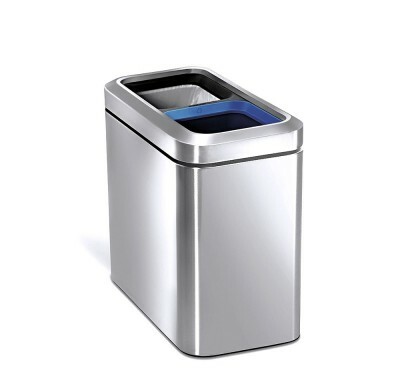 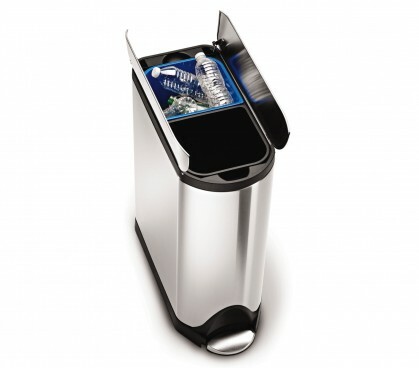 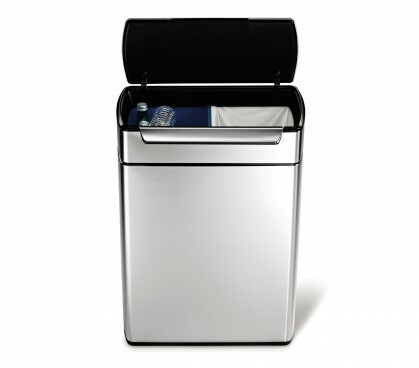 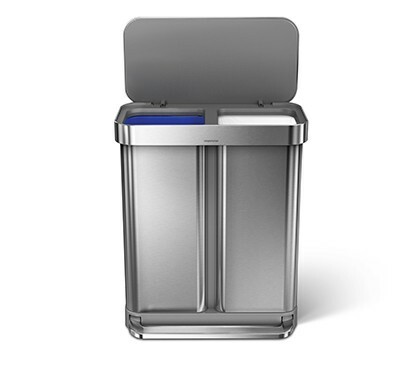 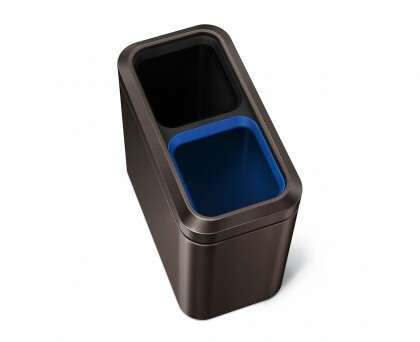 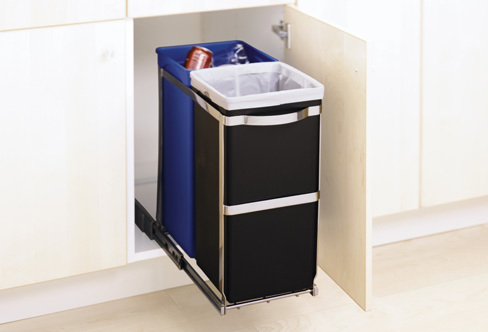 Our dual-compartment trash cans/recycling bins make it easy to neatly sort your trash and recyclables in one space-efficient spot. 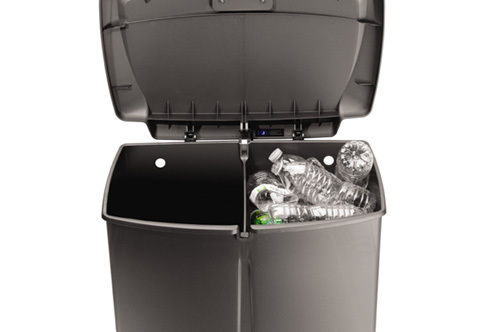 Sometimes, it's easy being green.